2019 course dates – view them here!!!! how to successfully put all this together in order to achieve the birth you want. ‘The Hypnobirthing Mum’ is run by Kerry Sutcliffe who has successfully and proudly used hypnobirthing with all three of her children. Kerry is a Certified Hypnobirthing Australia™ Practitioner as well as a trained Person-Centred Counsellor and Mental Health graduate who has worked extensively with people living with anxiety and depression. Courses have been uniquely devised for Australian mums and their birth partners. There are a range of group, private, online or refresher courses on offer throughout Sydney’s Inner West suburbs. 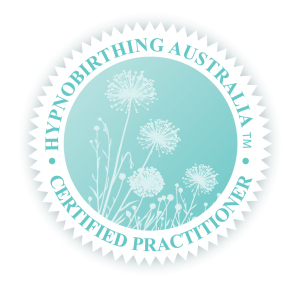 Courses are nationally and internationally recognised and endorsed by HypnoBirthing Australia™. Please feel free to contact Kerry on kerry@thehypnobirthingmum.com.au or 0451 771 723 to discuss any questions or queries you may have regarding hypnobirthing. I hope to see you on a course soon!